When you have to wait two years for a new John Hart book, you figure that it better be good. And when you find out that the main character is the grown-up version of one of John Hart's fantastic earlier book, you know that it's going to be good. And when you read it and find out that it's one of the best books you've ever read, then the wait was worth it. THE HUSH takes the reader into the life of grown-up Johnny Merrimon who we first met in the Edgar Award-winning novel THE LAST CHILD. You can read THE HUSH as a stand-alone with no confusion but there are some references to situations in the earlier book and I read THE LAST CHILD years ago so I just ordered it to read again. 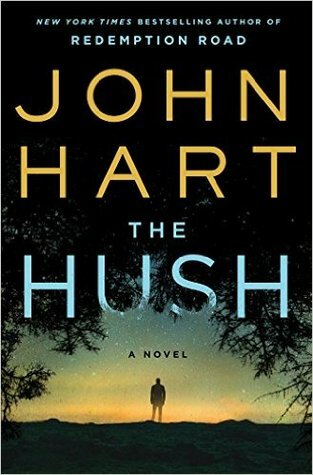 John Hart is the first author to win the Edgar Award two years in a row and I have enjoyed all of this novels. THE HUSH is a bit different because there is a supernatural element to it. It's a fantastic well-written novel that I think will be another top selling book. Johnny is now in his late 20s, living life off the grid in an area known as the hush - an area in Rowan County NC, where a group of freed slaves started their new lives in the mid-1800s. Strange happenings are going on in the hush and Johnny wants to find out what is causing them so that he can continue his solitary life on the land that has been in his family for decades. His best friend, Jack, now a lawyer in Rowan County is the only person that Johnny allows on his land and knows where he lives. As Johnny and Jack try to find out what is happening in the hush, the reader is led down a mysterious path, with lots of detours to find out the answers. I really can't say much more about the plot without spoilers, but trust me, this is a plot that will keep you up far into the night. I lost a lot of sleep while I was reading it. The two main characters are extremely well written and believable and the plot will keep you guessing. I highly recommend this as another fantastic book from a great author. Thirteen-year-old Johnny Merrimon had the perfect life: a warm home and loving parents; a twin sister, Alyssa, with whom he shared an irreplaceable bond. He knew nothing of loss, until the day Alyssa vanished from the side of a lonely street. Now, a year later, Johnny finds himself isolated and alone, failed by the people he'd been taught since birth to trust. No one else believes that Alyssa is still alive, but Johnny is certain that she is—confident in a way that he can never fully explain. Undeterred by Hunt's threats or his mother's pleas, Johnny enlists the help of his last friend, and together they plunge into the wild, to a forgotten place with a history of violence that goes back more than a hundred years. There, they meet a giant of a man, an escaped convict on his own tragic quest. What they learn from him will shatter every notion Johnny had about the fate of his sister; it will lead them to another far place, to a truth that will test both boys to the limit. I've been eyeing up The Hush for a while. 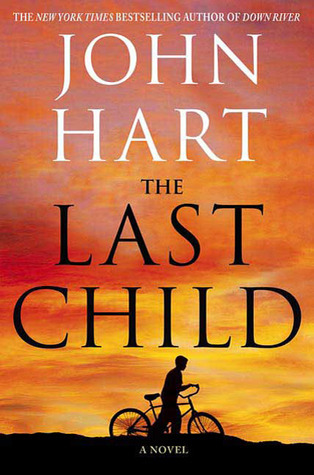 After reading your review, I'm going to pick up both The Hush and The Last Child. You sold me!